Minimum recycle time "approx. 1.6 sec." at Full Flash. 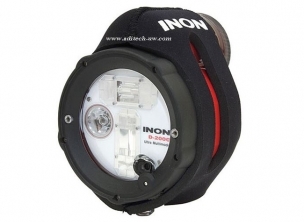 The INON D-200 offers a phenomenal range of features and benefits that make this the first choice of many of the worlds leading professional underwater photographers. 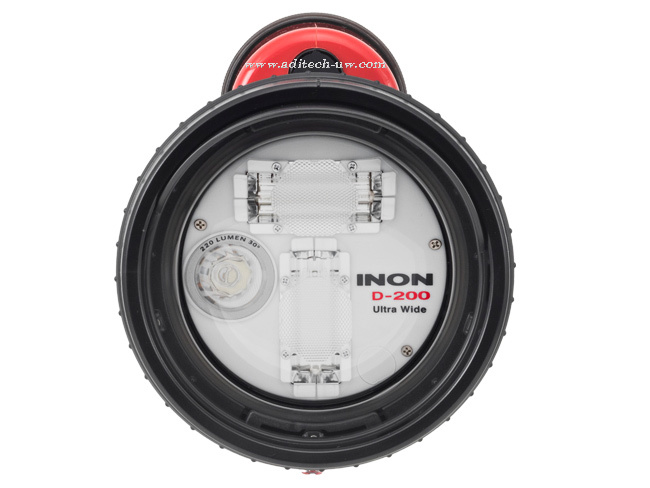 Combining high power, wide angle coverage and near instant recycling with thought through user friendly exposure functions and triggering options, the INON D-200 leads the field outperforming many much larger and heavier underwater flashguns. 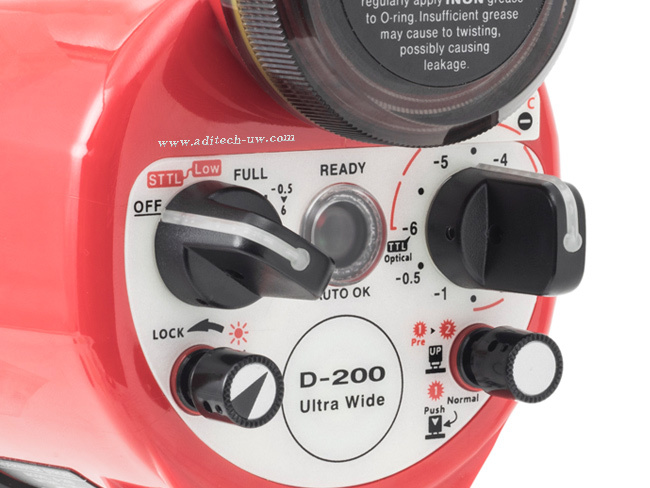 Yet lightweight and compact body, the D-200 is designed to produce G.N. 20. 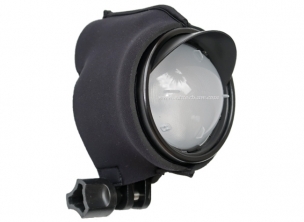 Precisely designed front dome lens (*1) together with INON’s unique "T shape twin flash" widens powerful strobe light without sacrifice any power to accomplish UNDERWATER coverage circular 110 degree. 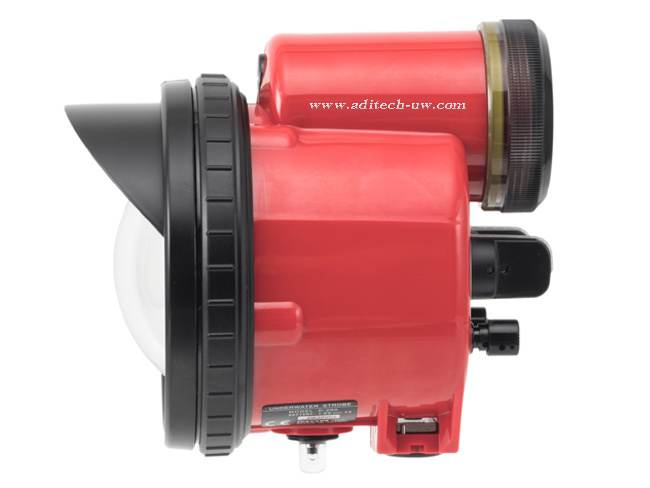 Not as like a conventional translucent diffuser which can widen coverage while it has to sacrifice power and store heat inside, this specially designed dome lens diffuse light thanks to reflection ratio of air, acrylic and water to attain UNDERWATER coverage 110 degree with all powerful output coming through. 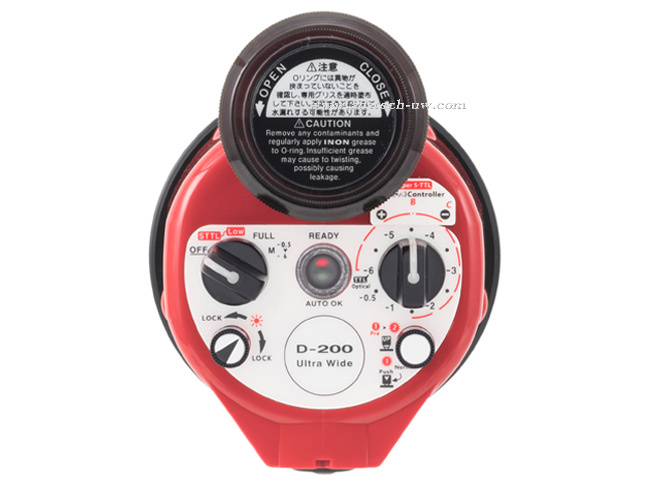 Further more, the D-200 has overcame drawback of high-power strobe which has long flash duration and reaches to FULL power after start flashing in significantly short period of time. 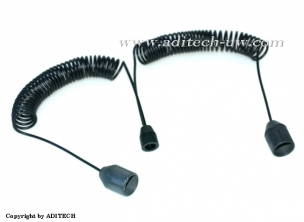 The "Strobe Light Shade" is bundled to cut a part of strobe light to benefit not shining camera lens directly to dramatically suppress ghost or flare and backscatter when the strobe is located to close to a lens port. The part of shade rotates 360 degree. 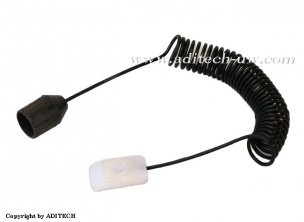 Intuitive operation with light clicks offers comfortable adjustment even underwater. 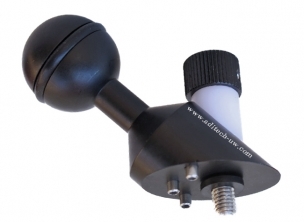 The D-200 strobe is equipped with circular metal heatsink carrying high thermal conductivity around light emitting area. 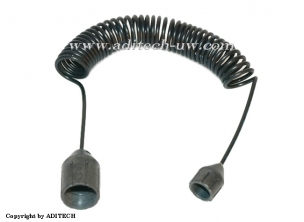 The heatsink is directly connected to inner circuit component to release generated heat from strobe usage effectively. 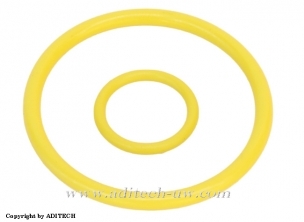 Improved heat tolerance has resolved heat problem typically accompanied with powerful strobe. No stress with sudden stop of flashing to cool down. The built-in "Shutter-linked Auto-Off Focus Light" delivers 220 lumen brightness to support when focusing a subject and cease in synch with the shutter release and automatically turns ON again. 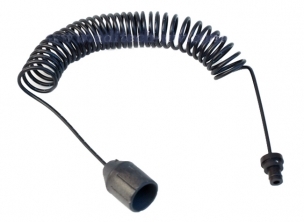 Also control dials are enlarged for user-friendly controllability even through thick gloves during cold water diving. 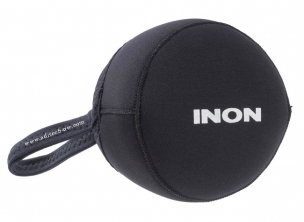 INON’s unique accurate auto exposure system "S-TTL" has been further evolved. 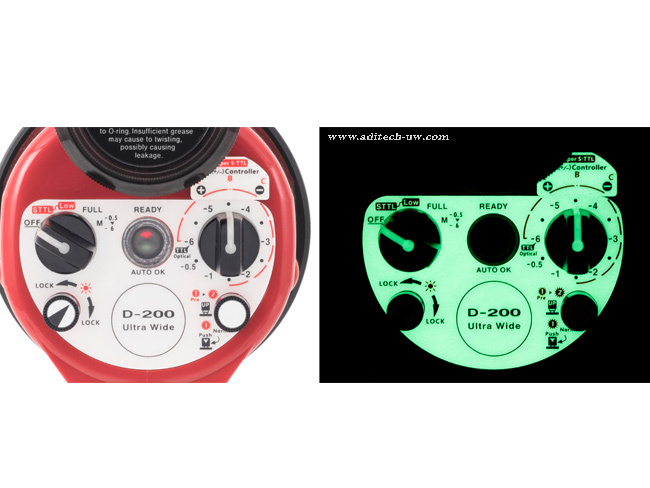 Accuracy of exposure is advanced providing more accurate exposure. 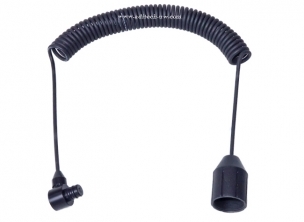 In addition, optimized high performance slave sensor never miss camera’s trigger signal even faint or partially damaged fiber optics cable can trigger the strobe to offer faultless triggering. Precised 1/2EV. increments 13 steps Manal flash control is onboard to support professional use. 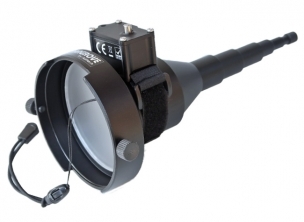 The D-200 strobe has a bayonet system to hold a strobe dome filter to attach/remove easily. 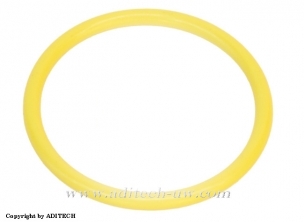 Besides bundled "Strobe Dome Filter SOFT" to protect dome lens surface and soften strobe light, optional "Strobe Dome Filter ND" which steps down at -4EV, "Strobe Dome Filter [4600K]" which changes native color temperature to 4600K and "Strobe Dome Filter [4900K]" which changes to 4900K will be available in 2018. Weight: 637 gr (land) / 48 gr (air). 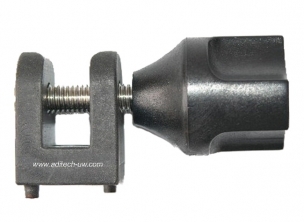 Adapter for INON strobes to a LocLine articulated arm. 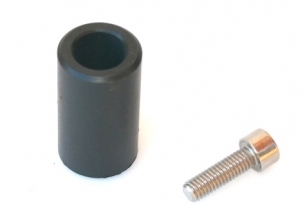 YS mount for INON strobes to flexible arms. 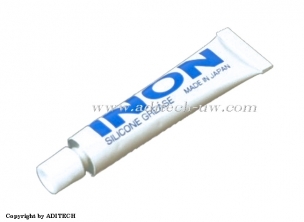 Original Silicone Grease for INON strobes.